Studio Job has two free electrons, Job Smeets and Nynke Tynagel, known for the rebellious and non-conformist way they create a particular universe. The designer duo created this Blow collection for Seletti, a range of crazy sculptural objects inspired by hyperrealism and Pop Art. 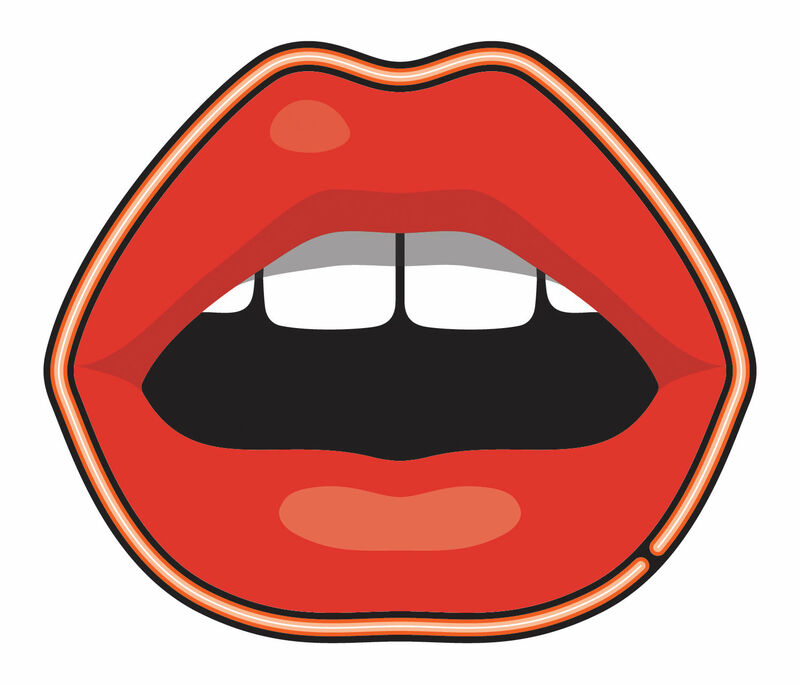 A hot dog sofa, a mouth wall light, an egg plate – a whole series of ultra-colourful, quirky, unconventional, rock-style items imbued with an incredible emotional force. 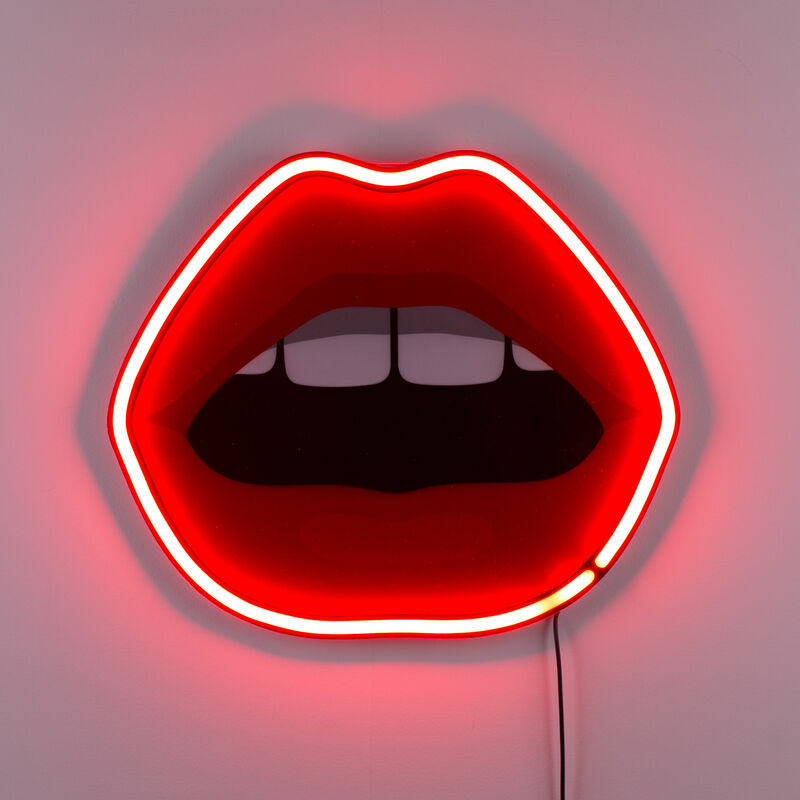 This luminous sculpture in the shape of a sensual mouth, evocative of the American Pop Art movement, will give your wall an offbeat, arty look. It is a neon retro lamp made of acrylic, inspired by Las Vegas' coloured lights. 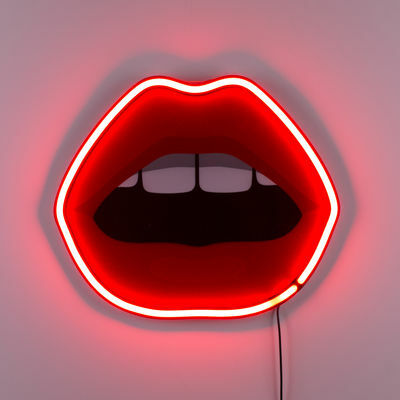 The Bouche lamp is evocative of other popular Pop Art icons, for example the Campbell’s Soup Cans, Dollars Signs and Coca-Cola Bottles. The wall light comes with a cable for connecting to the mains.